My husband visited Las Vegas on business last week and he managed to pick up lots of lovely tops for Elliot - some of the designer bits were so cheap! As you know from previous #TT_Thursday , we are big fans of the supermarket clothes ranges for kids but sometimes it's nice to have something a bit more special! My husband wasn't sure about the sizes when he went shopping and the jumper said S but theres ton of room in it and I know he'll get loads of wear out of it next winter too. It's really soft and I love the colours, it makes him look like a little bumble bee! The jeans are our favourite ones from Sainsburys, they fit him so well and wash brilliantly! Ralph Lauren is really good quality too, what a bargain. 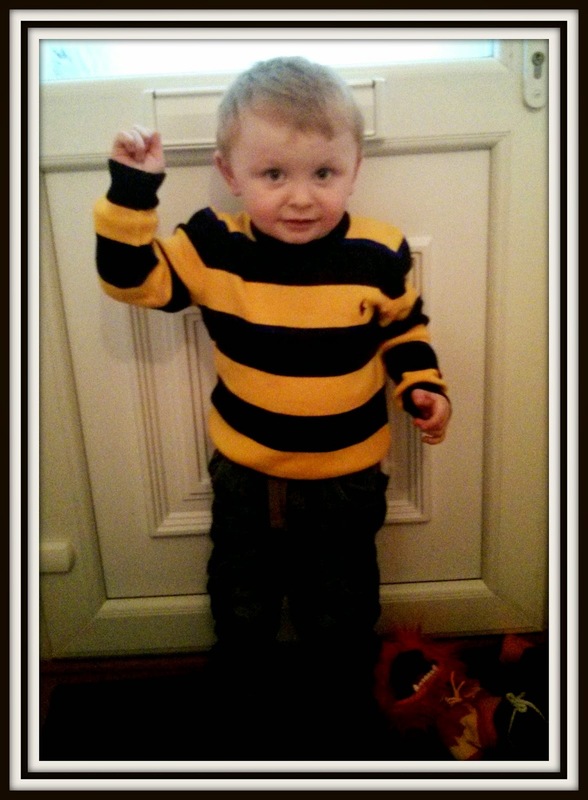 Oh he DOES look like a little bumble bee - how cute!! It's not a brand I've bought before but I'm very impressed with the quality of the jumper, its so soft too! Name 3 Things.....famous crushes as a teenager?! Days Out and Fun Things for 2015!